It’s no secret that Nissan has been working hard for electric vehicles. In addition to producing the highly successful Nissan LEAF, Nissan has recently been working feverishly with partner Renault to provide a fleet of electric vehicles for the upcoming UN Climate Change conference in Paris (as well as the charging stations to power it), and even running smaller projects (like offering free LEAFs to certain Canadian condo buyers) to promote zero-emission vehicles. Now, Nissan has passed yet another milestone in the production and use of electric vehicles: after selling 65 Nissan LEAFs to Green Lite Taxi Kft. 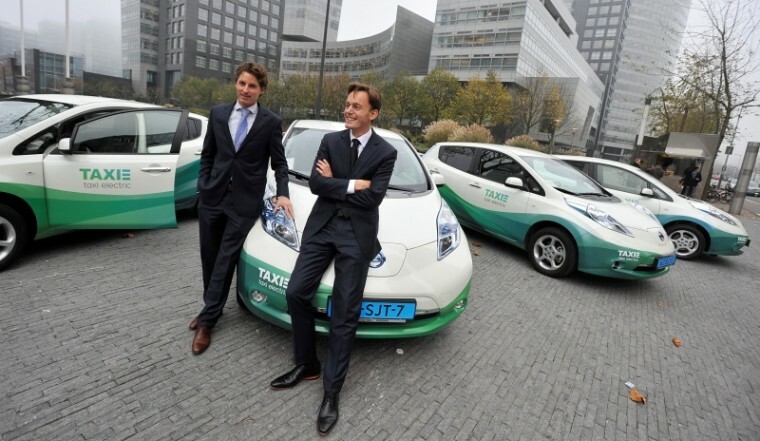 (a Hungarian taxi company), Nissan now has 550 all-electric taxis on the road, making Nissan Europe’s best-selling electric taxi manufacturer. Taxi drivers are some of the most demanding drivers of their cars, given the high mileage placed on each vehicle, which Nissan said reinforces the brand’s electric vehicle reliability and versatility. With this order, Green Lite now has the largest fleet of zero-emissions vehicles in Hungary, and to support this endeavor, Lévay has installed seven quick chargers around Budapest, where the service is stationed.